Commercial Leases, Industrial Leases and Retail Leases are legally binding contracts between a business owner and the owner of the property. At A.L.F. Lawyers, we understand that an enforceable and binding lease is vital and could mean the difference between being able to enforce a provision of your lease or suffering loss as a result of the lease being unenforceable. A.L.F. Lawyers have prepared leases which are suitable for both the Landlord or the Tenant which are intended to maximise and protect our clients’ interests. Our Lawyers understand the commercial importance of expediency when working on leases and we assure our clients that our team will work closely with you, the real estate agent and the other parties’ solicitors to ensure that an effective agreement is entered into in a timely manner. Our team keeps up to date with changes in the Retail Shop Leasing Act to ensure that you are meeting with and complying with any changes to statutory laws. A poor leasing decision can be a costly mistake as a lease is usually central to the goodwill, value, and future sale of the business. We would be delighted to meet with you and demonstrate how our Leases can add value to your business. The article below gives you some principles to consider when entering into a Lease either as the Landlord or the Tenant. Because of the standardisation of our Lease documents, you will incur lower legal costs where our services are required to resolve problems or disputes in the future. We will ensure that the terms of your Lease reflect terms agreed between the parties. We understand that getting a deal over the line in today’s world of business requires collaboration, professionalism and it needs to happen quickly. We guarantee to have a Lease prepared for you within 48 hours of receipt once all of the information required is received from you. Potential Game Changer if Your Contract is Subject to Finance! Do you want to buy your first home, need a change of scene, or outgrowing your current residence? Are you purchasing an investment property, or assisting your child with purchasing their first home? Do I Need A Lawyer To Review My Real Estate Contract? As a buyer and seller you have a legal right to have your Contract reviewed by a Solicitor before signing the Contract to ensure that you fully understand the terms of the Contract before it is signed and you are legally bound to purchase or sell the property. How To Leave My House to My Child is often a question asked of us? This article will discuss the best way to leave your property upon death where a second marriage or partner is involved. Buying Or Selling A Property? What Do You Need To Know? Buying or Selling a Property? What do you need to know? Conveyancing is the term used to describe the transfer of ownership in property from a Seller to a Buyer. Property Conveyancing can be complicated as every property is different and there are many things which may potentially go wrong. When a person dies and leaves a valid Will, it will name an individual or several individuals as “Executors”. The Executor is sometimes also called the Trustee of the estate, or the deceased’s Legal Personal Representative. For many years’ parents have fought to have custody of their child after separation or divorce. As the law has evolved, the term “custody” fell out of use as it had connotations of ownership of the child. There are a number of Things to Consider when Making a Will and this article will start to give you some knowledge of what you can include. If you have chosen to buy a property that is being auctioned, then there are a few tips we can offer that you may choose to consider before attending an auction and signing an auction contract! How Do I Decide Which Property Offer To Accept? Deciding to sell your property can be overwhelming. Getting the property ready, finding the right Agent and then waiting for that “one” buyer to buy your property. What Can Go Wrong When Buying A house? Well just about everything! Often when individuals ask this question it is too late and they are knee deep in fighting expensive fires. Firstly, let’s try to understand what is an Executor and what do they do? An executor can be a person or an organisation that you appoint to be responsible for carrying out the wishes you have stated in your will. You must nominate at least one person or organisation as the Executor in your will. A Power of Attorney is a legal document which gives authority to another person (known as the attorney) to make certain financial decisions and sign certain documents on behalf of the donor. 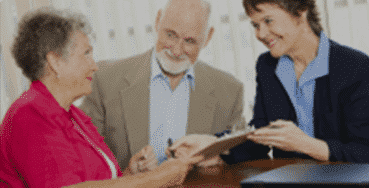 Powers of attorney can grant extremely wide and discretionary powers to the attorney. You may be asking the question……How to Apply for a Parenting Order after I have separated? You may also be asking ……. What Happens with the Children When you Separate? Can I make a Provision for Pets in My Will? For most of us, dogs, cats and other pets are really part of the family, however how many of us have thought about what might happen if our pets outlive us? When a person dies, they generally leave something behind for loved ones or charities. What they leave behind is collectively called their “estate”. If they have a Will, their executor must then “administer” their estate in accordance with the wishes expressed in their Will. Well just about everything really and it results in House Settlement Problems and Delayed Settlements! The process of selling a property can become incredibly stressful depending if you are also buying and if your buyer is also selling. ESSENTIALS IN A COMMERCIAL LEASE Property address The address of the premises needs to be clearly described. Whilst an obvious point, time can be wasted clarifying a property’s legal description where a Lease is to be registered and/or where a lender is involved.